Can Patrick Reed continue his surge, or will McIlroy, Spieth and Co. catch him? Here are four things we think will happen today. Yes, we took a Bubba-sized swing. Our inaugural Style Issue is a bona fide, bone white (a hot color for belts and shoes, we've learned) departure from our norm. It's a celebration of style, fashion, accessories and grooming, because we firmly believe that style is as much a part of the game as bounce angle and Old Tom Morris. She didn't win a major, but Lexi Thompson pulled off some hero-esque acts on the course this year. You can question her game if you'd like. Her resiliency? Don't even start. Patrick Reed, the five-time Tour winner's strategy is simple: Attack. 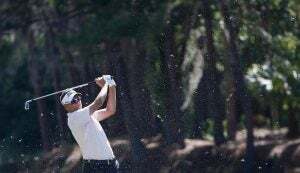 While his go-for-broke style may not be a perfect fit for every player, a boost in confidence never hurts, especially when it results in birdies. We asked Reed to share the pros and cons of playing aggressively. Man up—it's about to get serious. U.S. Open Champion Brooks Koepka shares the power moves that tamed the longest course in major championship history. Dustin Johnson, Jason Day and Rory McIlroy reveal their top power moves ahead of the 2017 U.S. Open and the longest layout in championship history. In this week's edition of Monday Morning Swing Coach, we explore the perils of aggressive play (how much is too much?) and learn how to manage distance with your fairway woods. 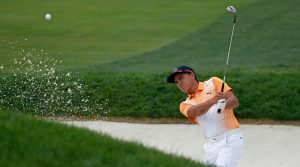 PGA Tour player Billy Horschel explains his go-to swing moves—the ones that fueled his first victory since his Tour Championship romp nearly three years ago. Golf's Top 100 Teachers tackle Ian Poulter's wild shank at the Players Championship. Here are three ways to avoid hosel-rockets for good. 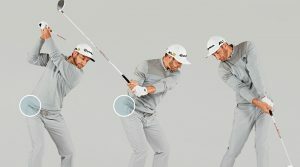 Top 100 Teacher Mark Blackburn breaks down the putting and full-swing moves that helped PGA Tour player Kevin Chappell claim his first victory in 180 starts.